Last week, we were graced with the newest entry into the Thor movie franchise, Thor Ragnarok. Since THOR is my favorite MCU franchise because I like mythology and fantasy stories, I was very excited to return to Asgard and the comic book version of all things Norse myth. Maybe even more so this time around because of my travels earlier this year to one of the lands from where these gods once hailed – Iceland. Admittedly, Thor Ragnarok takes us to parts of the 9 Realms that we’ve never seen that look very different from the Scandinavian landscapes we’ve glimpsed before (though, there is a brief stop in Norway), but that’s why movies are their own form of adventure. And for my fave franchise, you bet I came up with a few outfit options. This worked out perfectly because my stylish cohorts at Geeky Fashion Blogger Alliance made this month’s style challenge Thor Ragnarok! As such, I’m splitting my response between this post and one at A Nudge in the Right Direction. Head there next week for 2 more casual Thor-inspired outfits. Here, I’m sharing what I wore to see the movie last Thorsday at the El Capitan on Hollywood Blvd. For the more glamorous setting and in honor of my favorite trickster (and style inspiration) Loki, I put together something a little extra. After wearing the same costume for the last 2 movies he was in, Loki had 4 new outfits in this one! I was especially taken with the yellow cape on his blue costume, which got me to pull my own yellow coat out of the closet. Though Loki is sporting considerably less gold on his clothes this movie, it wouldn’t be a Loki look without being burdened with some glorious hardware. Bonus look: Sister was going to also wear a Loki shirt, but she found this classic tokidoki x marvel tee from back in the days of the first Thor movie. So she went with this effortlessly cool outfit. So, have you seen Ragnarok yet? Who is your Asgardian fashion muse? 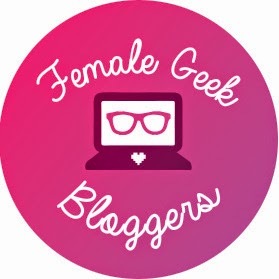 Don’t forget to check out the Geeky Fashion Blogger Alliance instagram (linked above) later this month to see how other bloggers approached this challenge. And click over to A Nudge next week for 2 more Thor-inspired outfits! Part of my intention with this blog has been to find adventure even at home, and in the show Stranger Things, terrifying adventure finds the characters in their own backyards. Since the 2nd season premieres this weekend (and Halloween is just around the corner), the Geeky Fashion Blogger Alliance made their first style challenge theme Stranger Things. Prompted by them, I took to my closet and my own backyard to find something a little unusual in my usual. Here’s my outfit, inspired by Eleven. I decided to go the geekbound route because I don’t have any Stranger Things branded clothes or accessories, except for the Demogorgon pin and I remembered I had a pink dress with a white collar. And yes, if you clicked the jacket link, the one I’m wearing is from the Boys’ section in the largest size available. These are the perks of being a smallish person. I built the rest of the outfit from there, finding things I had that were similar to the Eleven look I was going for. The only thing I had to buy was a box of Eggos. Who knows, I might make this my Halloween costume. I have a blonde wig in storage. So, are you excited for the newest adventure in the Upside Down? How would you style a Stranger Things look? Be sure to check out the Geeky Fashion Blogger Alliance instagram (linked above) to see how other bloggers approached the challenge.